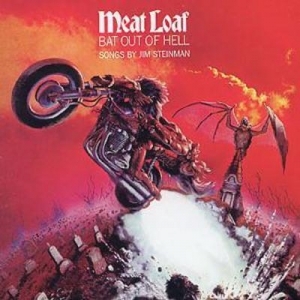 Bat Out of Hell is the second studio album and the major-label debut by American rock singer Meat Loaf, as well as being his first collaboration with composer Jim Steinman and producer Todd Rundgren, released in September 1977 on Cleveland International/Epic Records. It is one of the best-selling albums of all time, having sold over 43 million copies worldwide. Rolling Stone Magazine ranked it at number 343 on its list of the 500 greatest albums of all time in 2003. Its musical style is influenced by Steinman's appreciation of Richard Wagner, Phil Spector, Bruce Springsteen and The Who. Bat Out of Hell has been certified 14 times platinum by the Recording Industry Association of America. As of May 2015, it has spent 485 weeks in the UK Charts. The album went on to become one of the most influential and iconic albums of all time and its songs have remained classic rock staples.